Today I was supposed to be in New York but flight got pushed back. Something to do with a slight snowfall. Daniel Riccuito of The Chiseler reports that the sky is basically solid snowflakes, drifting UPWARDS. Which sounds fine — the ground will be cleared in no time. It’s just the sky you have to worry about. Walk in a crouch, New York, and you’ll be alright. But I can see how an atmosphere composed entirely of frozen water would make air traffic problematic. So I go tomorrow, arriving at the Walter Reade Theater hopefully just in time for the 3,15 screening of NATAN as part of the New York Jewish Film Festival. I will be lugging my luggage, tired and wired, but hopefully coherent enough for a cogent Q&A. And then another screening 8.45 the same day. Hope to see you there, weather permitting. Meanwhile, there is time to tell you about SULLIVAN’S TRAVELS, on Blu-Ray from the Criterion Collection. 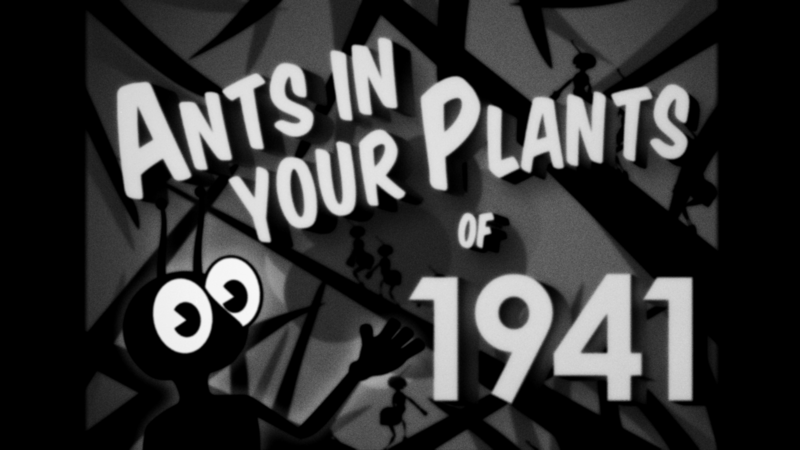 I made a video essay for this, aided by editor Stephen Horne and graphic designer Danny Carr who gets a special shout-out here for an amazing 40s-style animated title sequence, sampled above. Since the Coen Brothers swiped one title from John L. Sullivan’s fictional filmography (O BROTHER, WHERE ART THOU?) I wanted to grab another. It was this or HEY-HEY IN THE HAY LOFT. The conversations then came to be about what a title for such a film might consist of. Danny surpassed all expectations by combining the pull-back-thru-lettering device of THE PALM BEACH STORY with the animated characters of THE LADY EVE, all in a convincing early forties style despite working with computer rather than cel animation. I’m blown away by his work. The piece also features an interview with Bill Forsyth, a fan of the film who explains how it influenced him. This was folded into my script after I wrote it, much as I did with Richard Lester’s interview for my A HARD DAY’S NIGHT piece. One of these days I’ll manage to do the interview first and then write the VO around it, like a sane person. I’m really chuffed with how it turned out!